Tyrocircle is an easy-to-use social platform that facilitates a community of fun energising learning to take place between students, academics and alumni through the use of built-in flags and Scholar Rooms. All users will be required to sign up with their university e-mail address or access code. Tyrocircle has a full range of features to help you learn, communicate and collaborate in real time. Let's start your new learning journey in a modern way. Tyrocircle is a social communication and collaboration platform for modern and mobile learning. This enables the user to search profiles to find suitable users for peer-to-peer learning, request/offer help and act as an indicator for social interaction. Academics can create secure online classes to enable two-way communication with their students. They can post announcements, questions/answers and monitor course analytics and student engagement. Groups are just awesome. Create groups for your projects, course modules or around anything you like to connect and colloborate with your fellows and academics. Tyrocircle provides the facility to keep the whole conversation at a single place enabling the user to send as many private messages to any other Tyrocircle user. 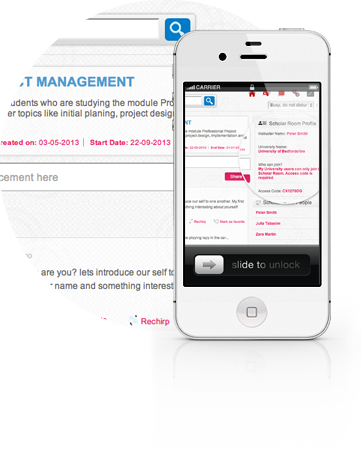 Learning circle enables users to share with individual classes, groups, departments or even with your institute. Here users will be able to add information, as much or as little as they want in regard to their institution, courses and modules. Just show off your academic achievements. 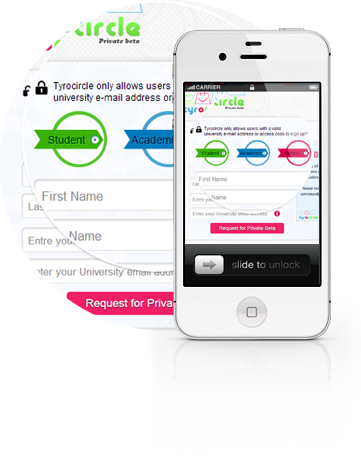 Tyrocircle allows you to stay connected with their institution, users and classes from your mobile device. Tyrocircle is wherever you are. We reconnect alumni back to their institution and provides a repository where they can have lifelong access to their course material. Tyrocircle provides analytics to monitor user participation within class and how they are using the and accessing the files and other reading material.